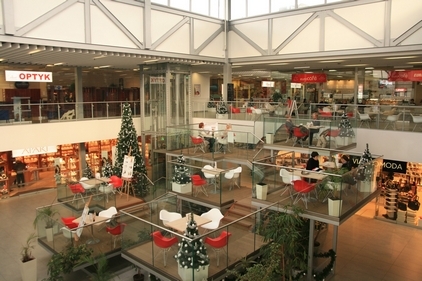 The heart of the renovated Rondo Shopping Center is a terrace café with glass walls. Its layout relies on connecting individual landings in amphitheatric arrangement which allows for the organization of small concerts in the lobby. 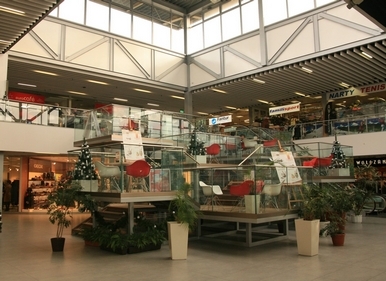 Light, glass construction complements the look of the points of sales in the shopping center. 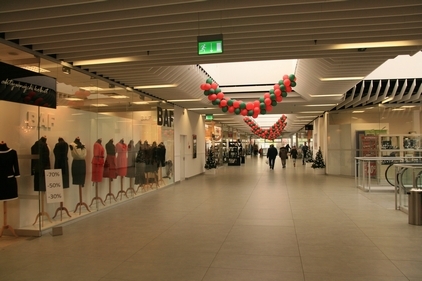 All shops look alike – display walls are glass and have the same lighting style. New escalator facilitates communication between the floors. 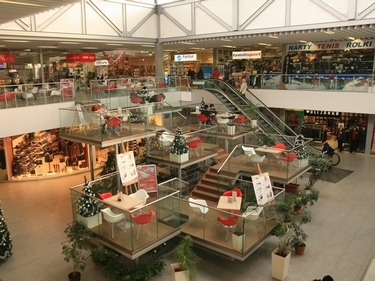 The facility gained not only a new look, but also witnessed a change in the organization of shops. 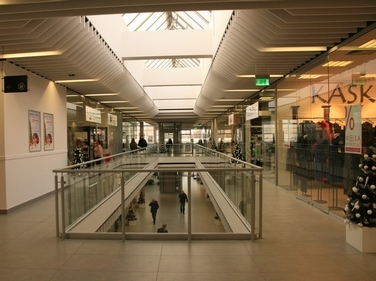 Ground floor houses shops, whereas upper floor is where restaurants and services can be found. There are about 40 points of sales on the two floors.